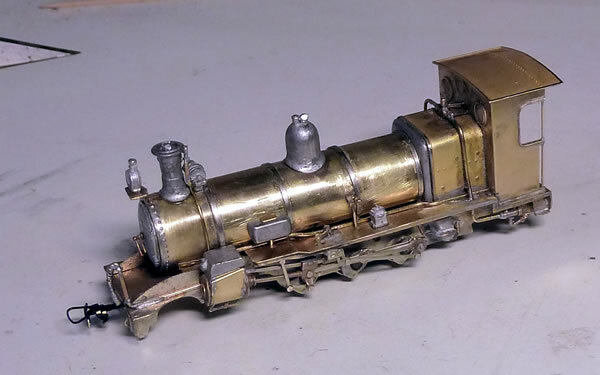 This is a locomotive I have long wanted to model. Having spent quite some time in India during the steam days, I have always had a great love of the locomotives. 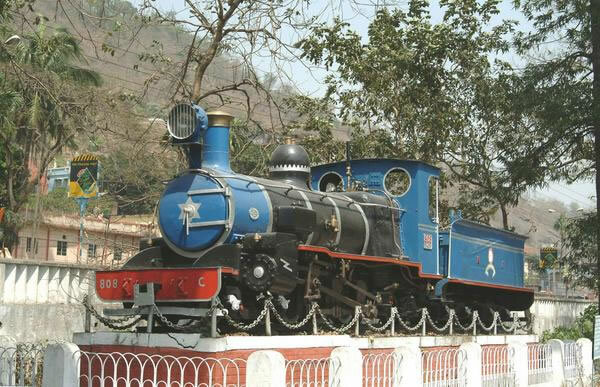 The locos were built to operate the 2 ft line to Assam and of course never operated up to Darjeeling. This is yet another saga a learning curve which has been extremely frustrating. I am obdurate in nature and would never let a toy engine get the better of me but this time there were a couple of moments when I was tempted to hurl the confounded contraption against a wall! My concern was the usual 'can it build up easily?''. The answer is a resounding 'NO'. The loco does now operate but frankly it has caused many problems and needs assistance as without, it is incapable of hauling anything worthwhile and it is necessary to modify the whole system. So what have been the problems? The kit has its motor fitted into the tender and drives the loco axles through a universal joint that easily becomes disconnected and loses huge amounts of power. Insufficient weight over the drivers causes massive wheel slip despite the weighted boiler and one of the Backwoods wheel sets have shown to have slight short circuiting. All in all a most unsatisfactory arrangement. One day I may build another one but this time it will be one of my 'fusions' and will use a companion wagon to power the affair. The one huge improvement of this kit is the provision of push on cranks which makes the whole job of quartering so much easier. As usual, the kit is of high quality parts for the most part and initial chassis construction went well. The valve gear assembled relatively easily but by then I was already thinking I would be better off with Grafar class 08 wheelsets and Roco valve gear. There is a complicated gear train that adds to the general resistance to running. 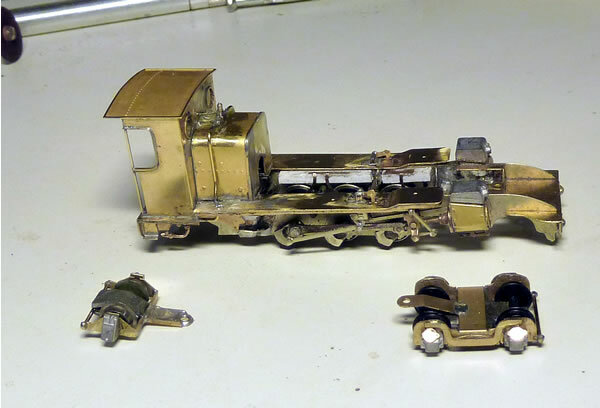 This shows the chassis complete with gear train, bogies and electrical pickups. The chassis was run in for a long period of time and finally it began to look as if I was wrong and it would all work well. I found the tender harder to build than the loco and I have to replace the wheel sets which were far too small flanged IMO. The backhead is complete and I have added a 'Blanch-style' tender cab which I felt would have been needed in Devon weather. This is now more or less complete and ready for motor and shaft installation. I quickly regretted not fitting working lights but the whole wiring exercise was becoming a nightmare. Here, the motor has been installed and final running in is taking place. The shaft and gear train already look troublesome. After a complete degreasing and ultrasonic cleaning the loco is primed. 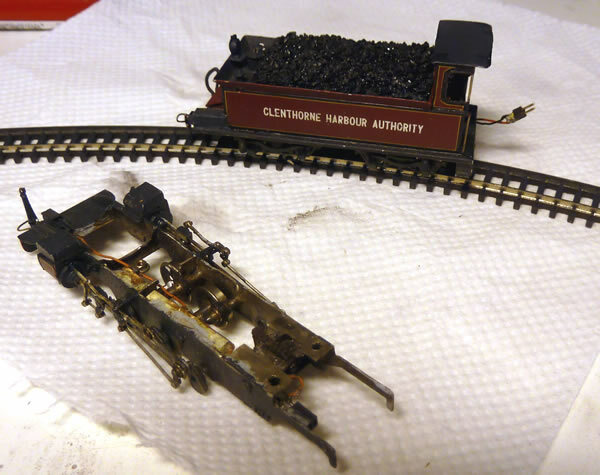 Here, the wiring is complete, the loco painted in Glenthorne maroon and the brass fitting added. There has been intermittent shorting on this loco and it has been finally identified as a short through the insulated bush on one of the drivers. I decided to remove the Gibson wheels and fit an unpowered 08 chassis and drive the thing from a tender unit. 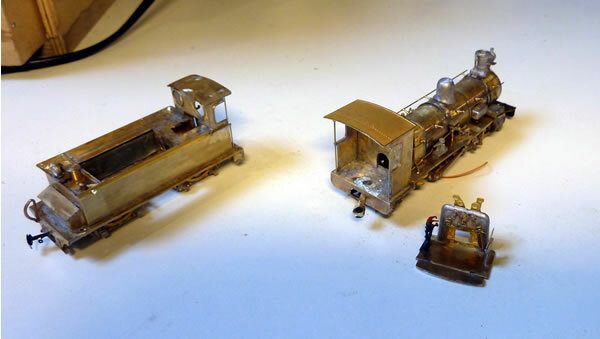 I was able to source a bogie power unit that fitted very well and in no time the tender was running around the layout. The completed tender with motor removed, bogies insulated with direct current pickup. The loco chassis has gearing removed and the offending wheelset cut away. The unpowered chassis from a Grafar 08 fitted with the correct Darj cranks. So the build went together nicely and it came the day to test the ensemble. It was attached to a powered companion box car, this time a Glenthorne Fisheries CoOp white livery with bespoke transfers. 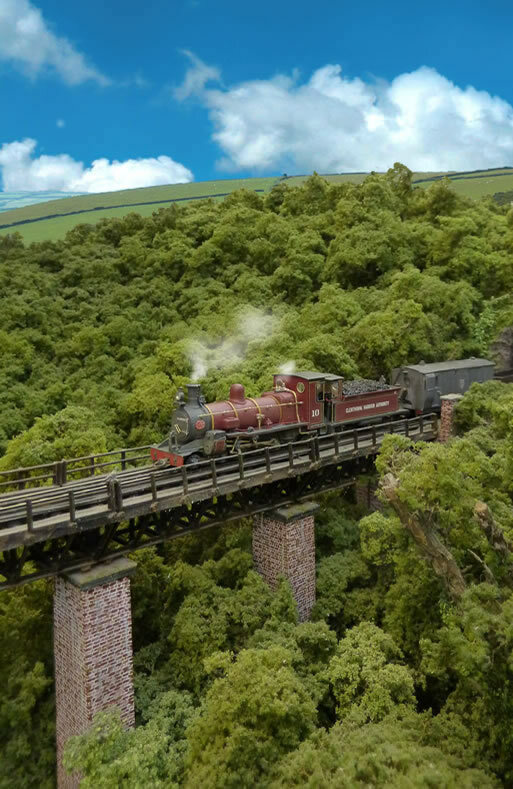 It worked 'more or less' but had a habit of derailing and jamming the driving wheels rounding the end return loops. The Darj on trials which failed. Photo Jeff Sydenham. It was time to bite the bullet and fit a power unit into the loco as well. 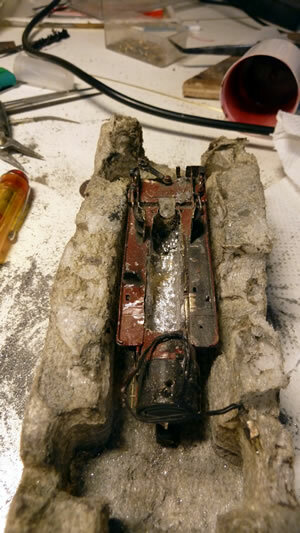 This was a challenge as the boiler was filled by a solid lump of white metal. It took five hours of drilling to get it out, with lots of pauses to let the Dremel cool down! 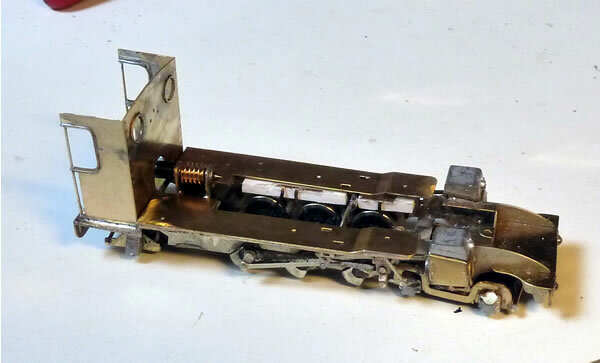 Here the locomotive is now fitted with a 08 chassis and chip. This has taken four very long days! The problems have saddened me as it is by far my favourite loco so far. However, after three attempts, the loco now runs perfectly and is able to pull any load asked of it.